Just a reminder; school is starting soon. 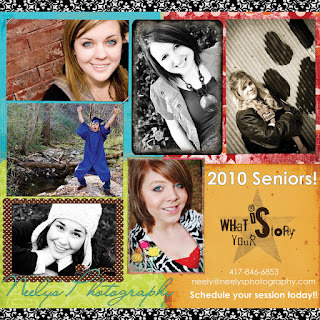 Schedule your session early so you don't get too busy! Also, October and September are pretty popular months. If you want pictures in one of these months schedule now to make sure you get the time you want. When August 20th rolls around I will only be able to do sessions on Saturdays and Sundays. That means months can fill fast!! If you wanted a session in Pittsburg, we could also do a Friday. Just don't wait too long and let your favorite month fill up!! !